Learn Japanese Naturally While Having Fun! 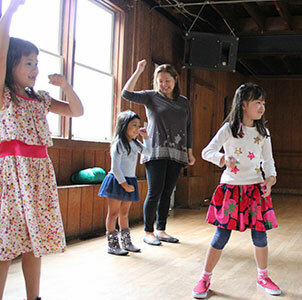 Fun and Natural: The goal of Kotoba + Culture's Japanese After School program is to give children living in the US an opportunity to achieve high level of Japanese naturally while having a maximum amount of fun. The best way to acquire a language is to use it every day. It is hard to "truly acquire" a language with just a once-a-week language school. 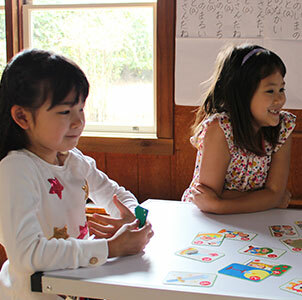 With three hours of exposure to Japanese language and culture every day, your children will naturally improve their Japanese ability without additional special effort. 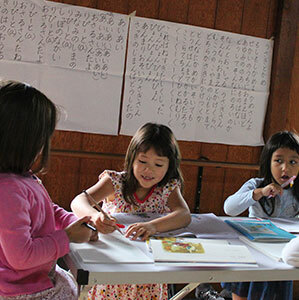 2 Hours in Japan Every Day: Kotoba + Culture's After School program is conducted all in Japanese as if your children were in Japan for three hours every day. All the teachers are native Japanese speakers. We'll play, read books, do homework, and eat snacks all in Japanese. We'll do homework as well: We believe that the time you spend with your children at home should be "quality" time in which you talk about how you spent your day and just have fun together. To make this easier, we recommend children do their homework as much as possible after school. We'll help not only with Japanese homework from your children's Japanese school (if they attend one) but also English homework using Japanese. In this way, children can learn Japanese equivalent words and increase their vocabulary. For children in grades K through 5. This is a Japanese immersion program. Teachers speak only Japanese (with some exceptions) during the two hours to give students maximum exposure to authentic Japanese in a variety of situation. Students don't have to speak fluent Japanese but should be willing to learn to speak in Japanese. Dance to a popular Japanese song! It's fun to do homework together! Let's play "karuta (Japanese card game)" and learn Japanese proverbs.